Tobroco-Giant has developed its first fully electric wheel loaders — the G2200E and G2200E X-TRA. 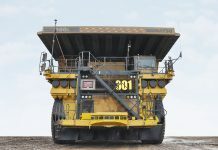 The G2200E loaders are equipped with a 48V lithium-ion battery that fills the space traditionally used for the engine. 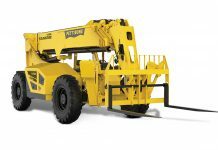 The machine is equipped with two separate electric motors, a 6.5 kW motor to drive the machine and 11.5 kW for the hydraulics. 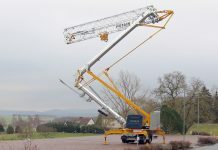 The G2200E features a lifting height of 2.85 metres and capacity of 1,650 kg. 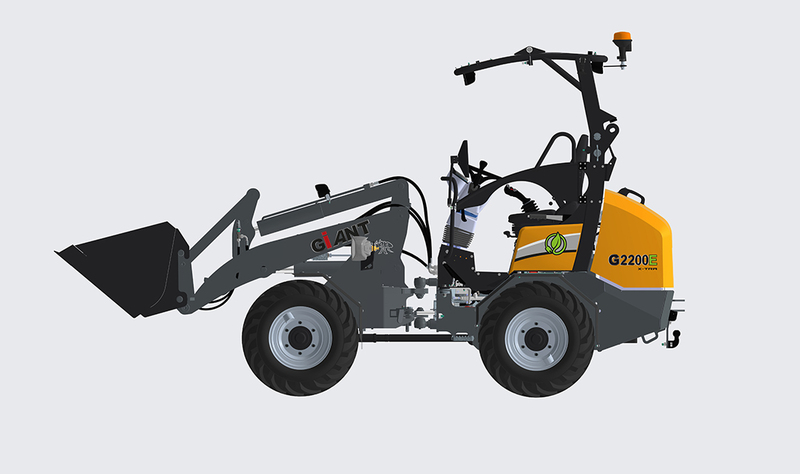 The G2200E X-TRA has a lifting capacity of 2,200 kg, lifting height of 2.45 metres and is specifically developed for extremely heavy work and work within construction and earthmoving. 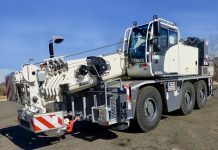 The machines are available with three lithium-ion batteries with a capacity of 12,3 kWh 18,4 kWh or 24,6 kWh, which will deliver operating times of 4, 6 or 8 hours, respectively. Furthermore, the lithium-ion batteries last up to three times longer than conventional batteries. 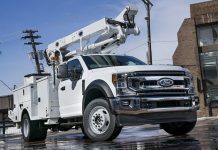 The battery is self-protected by its own intelligent battery management system and may be charged at any job site, without affecting the battery lifetime, making it a reliable solution for the rental market. The chargers are available in the range from 40A to 300A, making it possible to charge a battery system to 50 per cent capacity within 30 minutes. 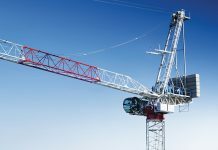 Despite a higher investment for the electric loaders, Tobroco-Giant says its customers will benefit from reduced operating costs and less maintenance during the lifecycle of their machine. There is no need to store diesel at the jobsite and with every charge a customer will save money. The G2200E models require lower maintenance as they have fewer moving parts and engine filters and fluids don’t need to be replaced. Longer service intervals mean fewer lost hours from maintenance downtime. The new electric machines are the result of dedicated research and development. In mid-2016, a new R&D centre was opened at the Tobroco-Giant factory to develop and build new and innovative products. As well, the engineering department has expanded considerably, so that all the knowledge is in-house to focus on electrically driven machines.